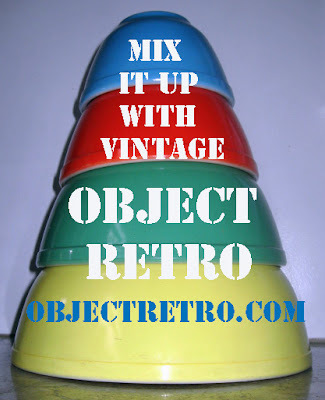 Retro Trend Vintage: Aww, Shucks. I've been honored with a blogging award from one of my favorite bloggers and dear friends, Angi of Amateurian. My friend (and her now husband), Mark, introduced us forever ago and they now live happily ever after with three beautiful children. Beautiful both inside and out- thoughtful, polite beyond compare, intelligent and utterly charming, just like both of their parents. Angi is a multi- tasker extraordinaire, Romantica is a business model she dreamed up. If I hadn't been the recipient of this award from Angi, she'd be on the top of my list to receive it. Amy of PhotographicAmy, a fellow Vintage Market Team member and vintage-o-holic. I love the way she puts together blog posts. They reference her life and interests, while promoting a love of vintage, photography, design, literature and humor. Job very well done! 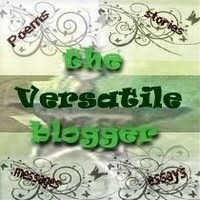 Next is Weezi and her amazing blog. 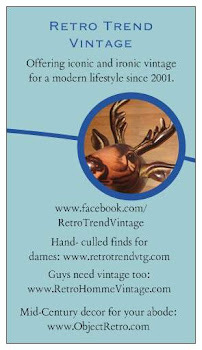 She has an eye for patterns, an obvious love of vintage, kitsch and retro. She has her own adorable retail store (in Canada, otherwise I'd never leave it), makes aprons, coats and dresses to die for. Some of Lisa's wonderful pieces are available on Etsy, others on her Facebook page. And she hosts Beehive Tuesdays (and the like) on a regular basis. Through her, I met HandsomeAndLace, who elevates vintage neckties to headbands, ascots, clip- on bow ties and mini ties for men, women and felines. Neck ties are one of my favorite items of clothing. Not easy for a chesty gal to rock but I love them! 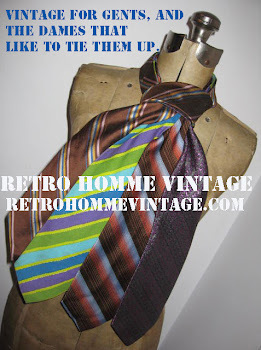 Normally worn as neckties tucked into the neckline of an open neck tee, as a belt or headband. Keira makes the beloved necktie a lot more wearable. There are quite a few drool- worthy examples in her Etsy shop. 1- I have a strong dislike for cheap shoes. 2- I can hold a grudge forever. Literally. 3- I look nothing like my mother. 4- I cut and dye my own hair, and done so since I has twelve. In the past 20 years, I've gotten exactly 5 professional hair cuts and have disliked most of them. 5- I prefer savory to sweet and umami to all other tastes. 6- The Virgo in me does not allow the mixing of sports brands on my body. Since I only wear Adidas sneakers (which are great for feet with higher arches), that means I also only wear Adidas socks, track pants, shorts, sports bras, sports watch, etc. 7- I wish I were taller. Well, You just made my day! Here I was having one of THOSE kind of days when you feel a bit down and then you give me this sweet award! Thanks you so much! I am going out of town for the weekend and will complete the requirements for receiving this honored award early next week! xoxo! omg!! thank you so much- I got little goose bumps! I appreciate this especially since, I have been such a slacker lately( will change tomorrow). I will be sure to pass this along!!! This is super awesome! This is like credit to me! It's credit that I put into my head machine to keep going longer! Thanks for this boost!!! Glad you guys are as honored as I was. I love what I do but it is always nice to hear that someone else loves it too. Hope this is the beginning of something fabulous for all honored! Have a wonderful week, everyone. 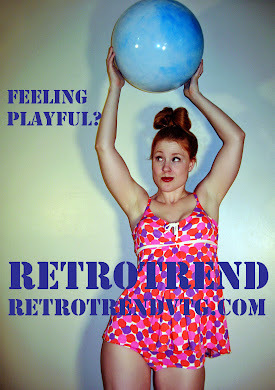 How do you wear your (retrotrend) vintage?